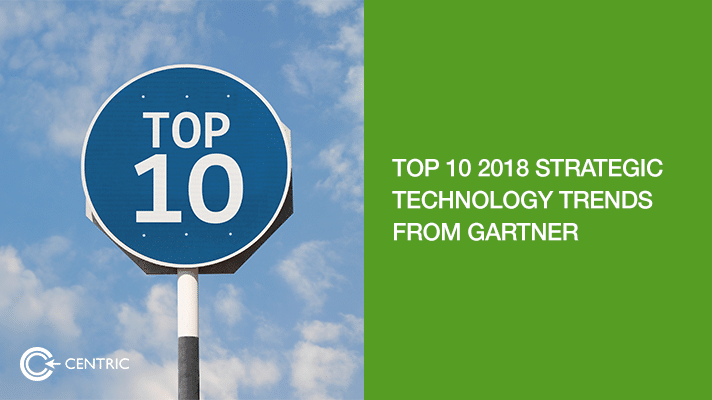 Gartner publishes ‘Top 10 Strategic Technology trends’ every year during their annual Gartner Symposium/IT Expo. Gartner defines a ‘strategic technology trend’ as one that can potentially disrupt a business and that needs major investment. Below are the highlights from their predictions for 2018. Following the same themes from 2017 – intelligent, digital and mesh – one/many of the following trends will shape businesses across every industry. Businesses can study these trends in detail and adopt the ones that are most applicable to them. AI solutions that can improve/enhance specified tasks with algorithms that are optimised for the chosen task will be in focus in the immediate future (while researchers will continue to study the potential impact of large scale disruption by AI). AI and machine learning will be used to develop applications that perform advanced analytics, apply intelligent process and offer better user experiences. These will act as an additional layer to augment human activities rather than replacing them. Augmented analytics is an emerging field that can automate data preparation, insight discovery and sharing. There will be a shift from stand-alone intelligent things to a network of different intelligent things that work together autonomously or with human input towards a common goal. Digital representation of the real world improves operational efficiency by making managing of the physical ‘things’ easier. Beyond just ‘things’, every aspect of the real world can be (and will be) connected dynamically and managed digitally. 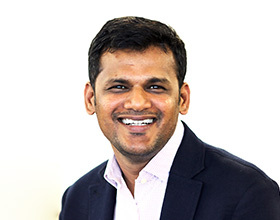 With close to 21billion connected sensors and endpoints by 2020, it will be impossible for a centralized data storage solution to handle the amount of data being generated. Therefore, infrastructure architecture will need to be created with edge computing topology where the information processing, collection and delivery are placed closer to the sources of information. Conversational platforms (like voice assistants and chat bots) will continue to evolve and will become robust enough to perform more complex tasks. Technologies like AR and VR when integrated with conversational platforms will provide users with ‘mixed reality’ immersive experience. It will gain mass adoption especially with the AR/VR offerings from Facebook, Google and Apple. This technology will continue to grow more popular, but adoption should be with caution. It’s important to evaluate first how this can be integrated with existing infrastructure and it will need regular monitoring. With the advances in AI, IoT and other technologies, it will become easier to detect ‘business events’ quicker and perform more thorough analysis using real-time data. This will help identify ‘business moments’ that have more significance than others in order to take the right action. The necessity to adopt more technology solutions also raises the ‘risk’ factors in terms of security breach. Focus on data analytics that will help detect anomalies will reduce the risk.